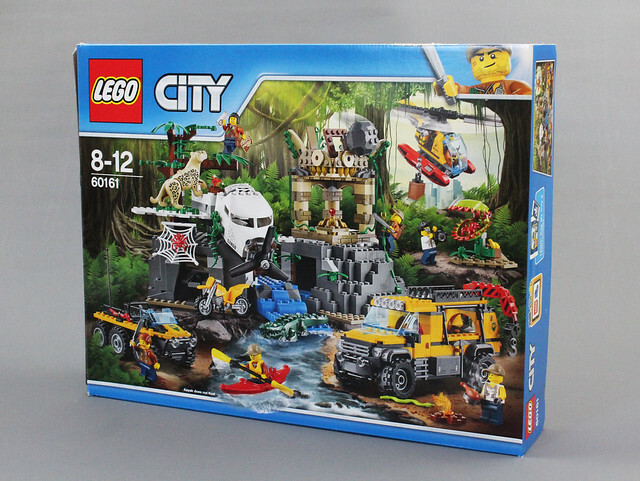 Jungle Exploration sets, the latest subtheme of the ever-popular City genre, are now available worldwide! We have the opportunity of reviewing some of the highlights from this new wave of items. 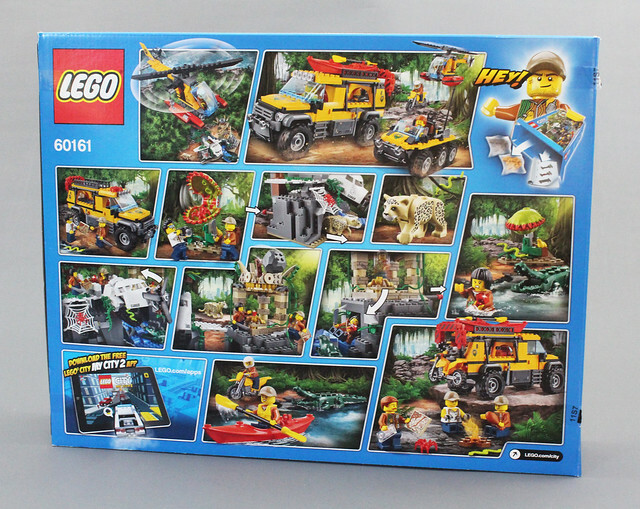 The Jungle Exploration Site includes 813 pieces and retails for $119.99 in the United States. 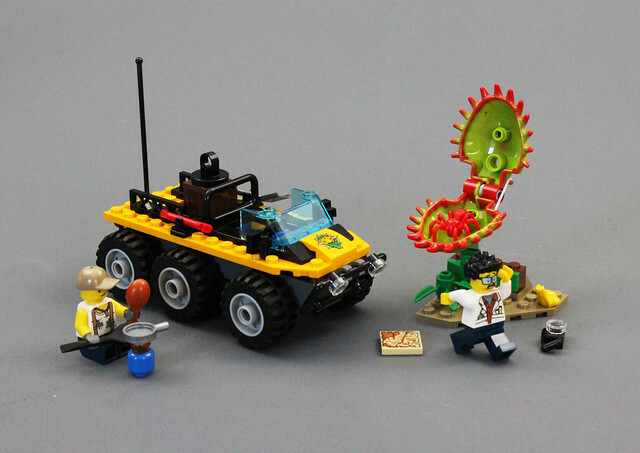 It comes with an exotic array of vehicles, minifigs, and animals. Read on to explore more! Ill start with the box, since that is what you would see first if you were to get this for yourself. 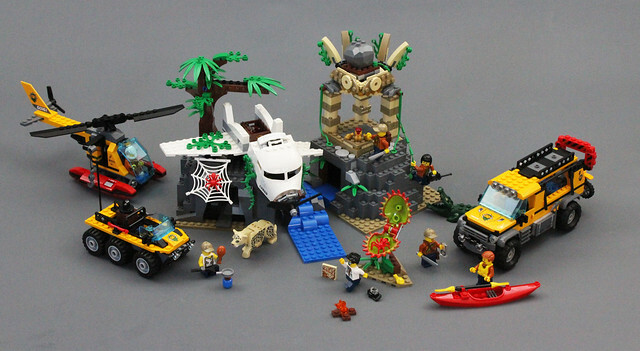 We can see that there is a lot of action going on, a nearly overwhelming variety of items. 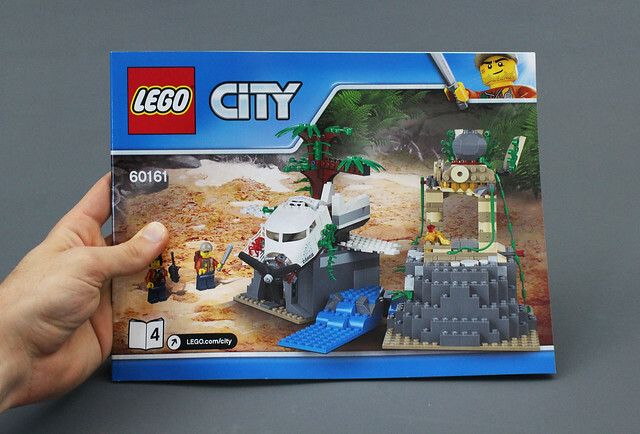 City sets seem to usually feature lots of points of interest, but this feels like a step further! The back of the box features a comic strip of sorts. 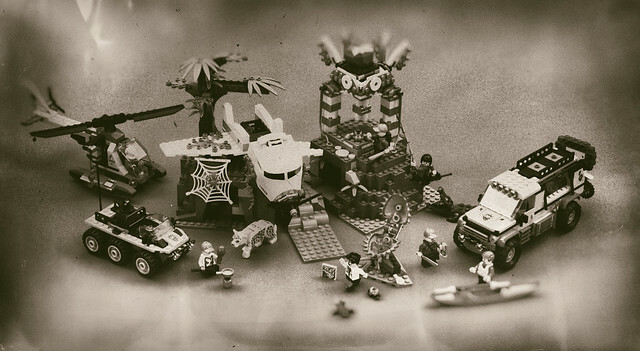 It also shows how all the various play features work. 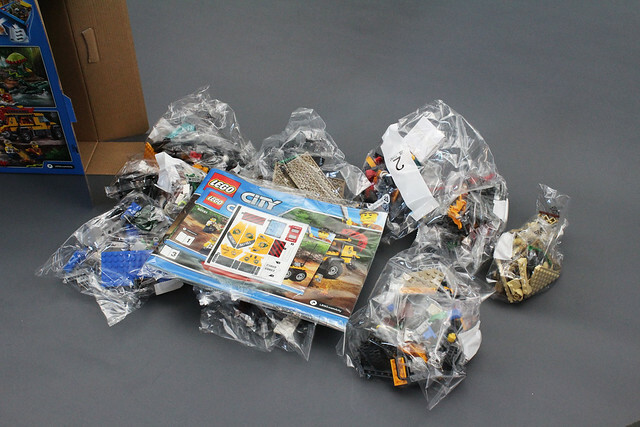 Open the box and youll find a nice bundle of part bags with a pack of instruction booklets. 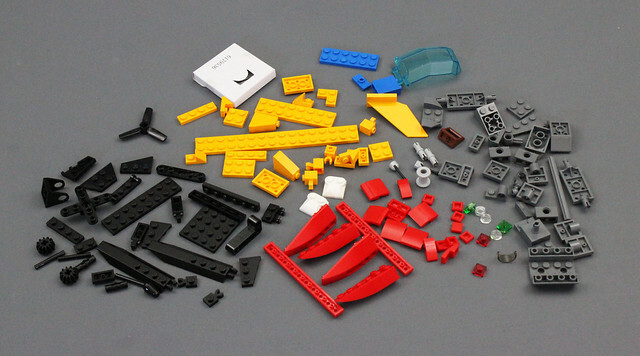 There are four different instructions for the different elements of the set. 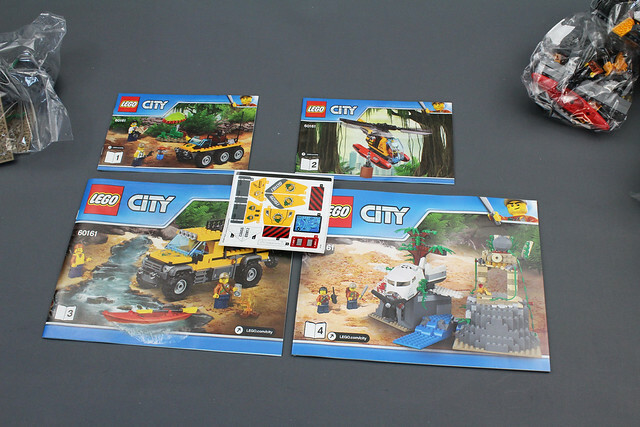 Each instruction booklet has a corresponding bag of pieces. There is also a small sticker sheet. Thankfully, there are not too many and they are not very difficult to apply. Like most rule-following citizens, I started with the Number 1 Instructions. Bag 1 includes a nifty selection of pieces. I particularly liked that printed map piece. 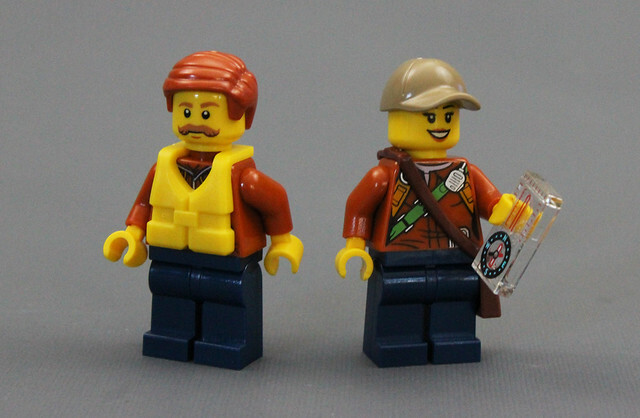 The two minifigs in this bag have some nice printing and accessories. The photographer/scientist has a double-sided head so he can freak out when he sees the giant carnivorous plant! 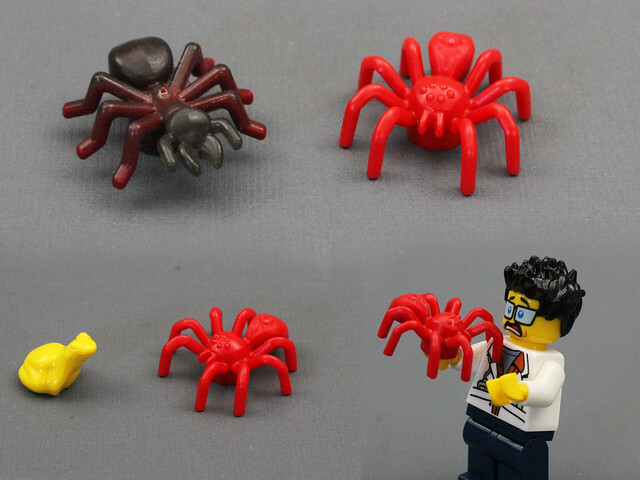 The new jungle spider piece is pretty interesting. Its very crisp and detailed, and suitably large, especially compared to a minifig! The new chomping plant pieces are also a lot of fun! The application of a rubber band gives it quite a bite! The completed bag has a nice little scene for the giant hungry plant and the spider seems to have been designed to fit inside, which is a bit too much for the mild-mannered scientist. 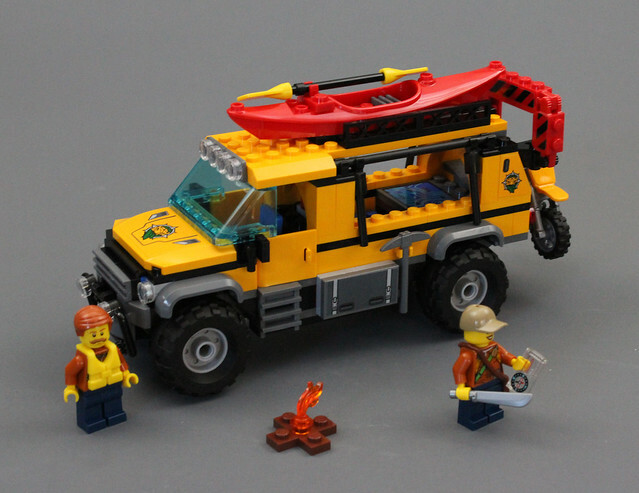 The amphibious vehicle is a nice build if a tad on the simple side. 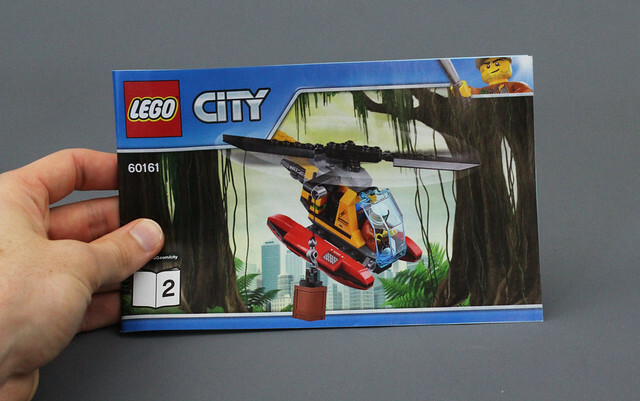 The next instruction booklet features the helicopter and the pilot. 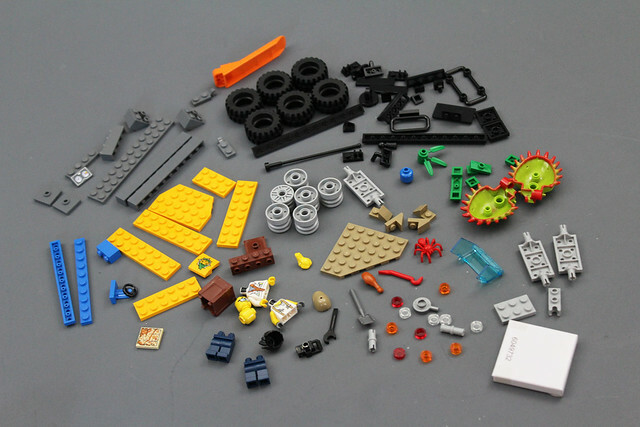 Bag Number 2 has a fair selection of parts. It is always good to see more of that bright orangey yellow color. 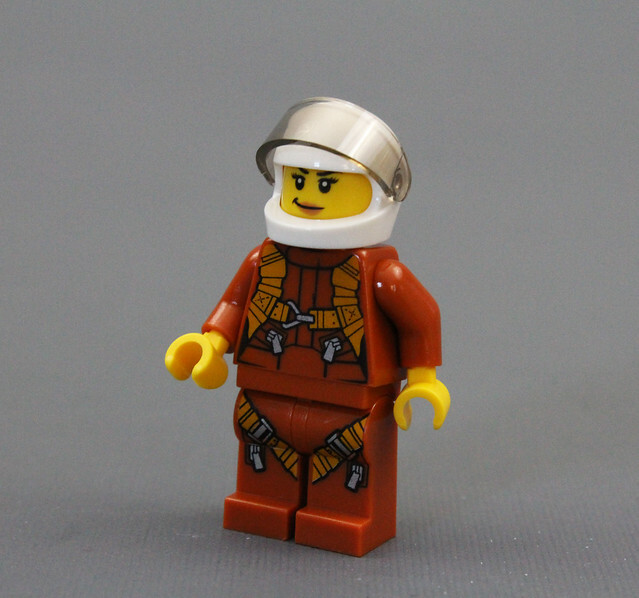 The lady pilot figure is probably my favorite of the whole bunch. That torso and leg printing combo is super cool and could be used in many different situations. 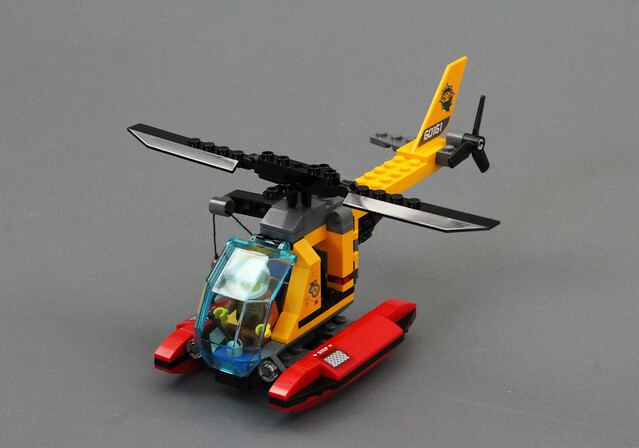 The completed bag 2 gives us a very cohesive helicopter. 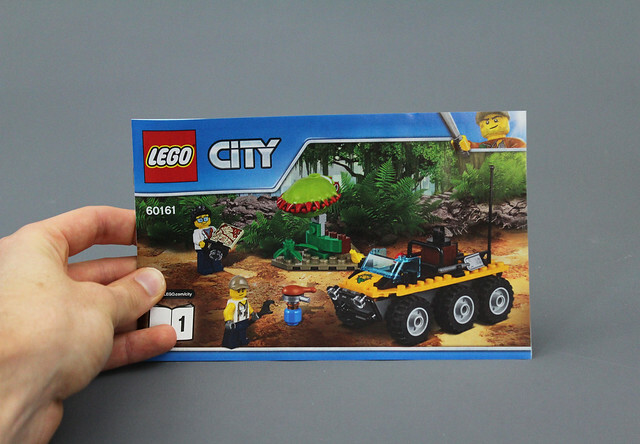 I think this is one of the better designed elements in the set. It even has a little crane on the side to move cargo! Instructions Number 3 features the massive off-road vehicle and the awesome kayak. There are two bags that have the numbers 3 and 4 on them and both include some neat parts. I really like those big grippy tires and those silver machetes! 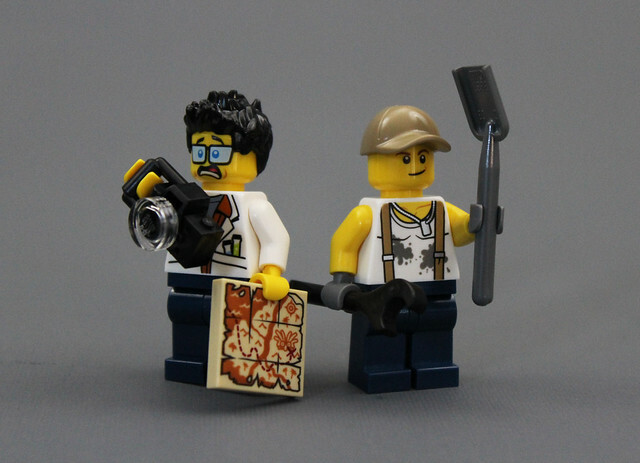 The minfigures are very unique as well. I really like that printed thermometer/compass tile. I despise the newer life vest piece design, though, as it prevents the head from snapping down fully and makes the figure look silly. You should be able to look cool and stay safe at the same time, guys! The completed truck is an amazing build. 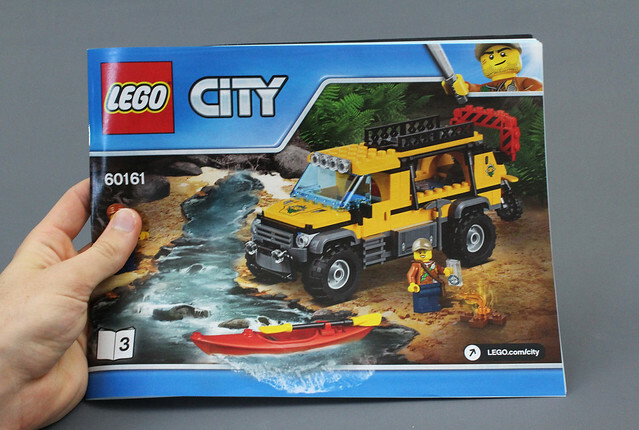 The huge tires, the extra headlights, and the crane on the back all give it a great exploratory feel. Plus, this thing is so big and beefy it can easily carry two more vehicles for the figures to ride in! 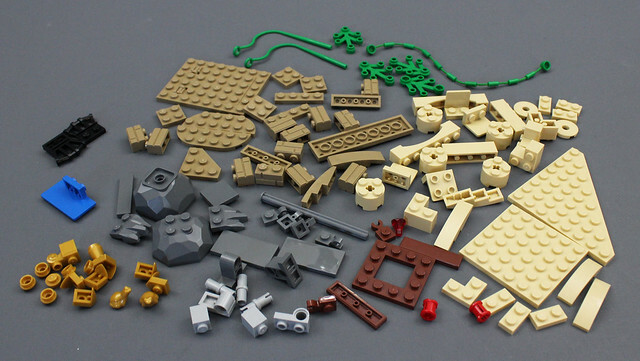 The last section of the set encompasses four large bags of pieces, and my, what a lovely selection! Earth-tone parts are my favorite ones to use, but lets not forget the lime green snake and the big cat! The last two figures have some of the usual detailed printed torsos. 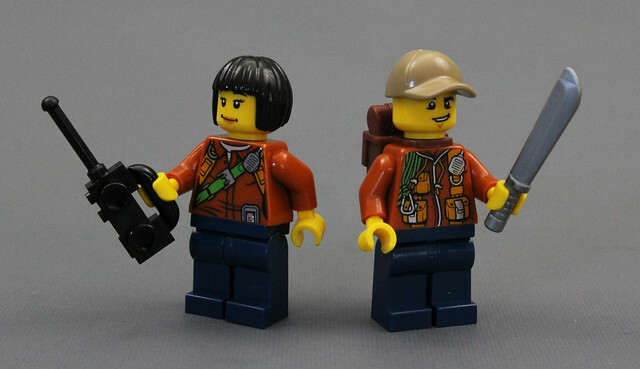 The girl explorer has a double-sided head with a scared expression. Being scared is a likely event with so many wild creatures ready to ambush the explorers! 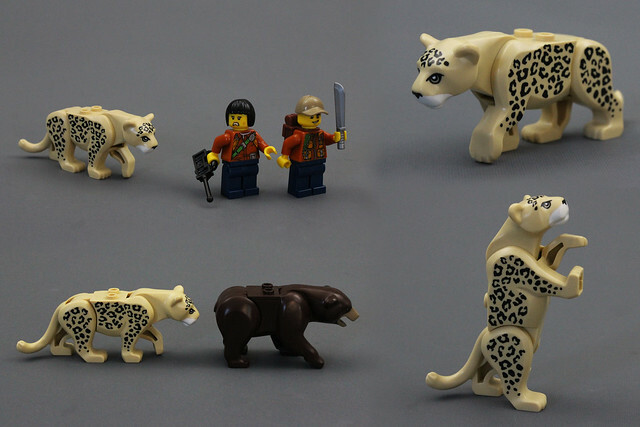 Probably the coolest new piece in the entire set, the big cat/leopard/jaguar is an incredible addition to the current lineup of LEGO animals. The head and the back legs can be posed for various situations, much like the bear from the earlier forest police station set. The position of the front legs is perfect for either standing still and stalking prey or conveying a sense of motion for chasing overeager adventurers! The completed scene has a lot to look at. 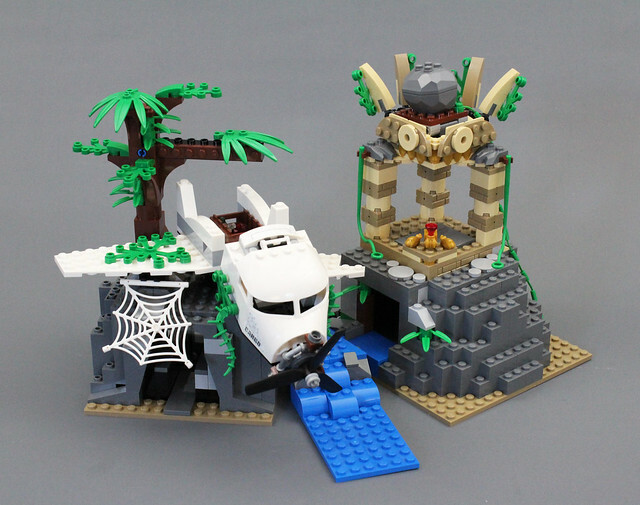 I like the play features they have included in the ruins and under the crashed plane. 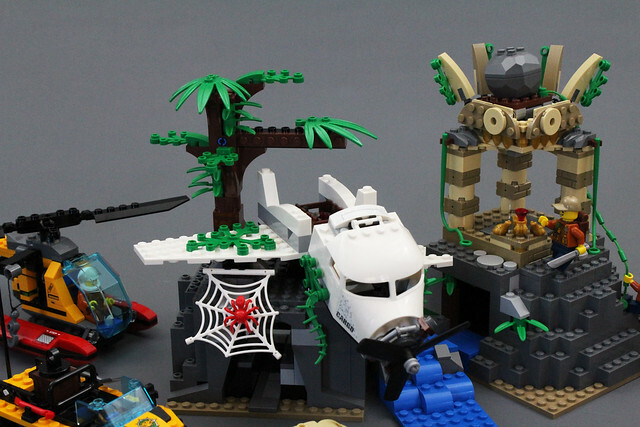 But, even though this part of the set includes a lot of great pieces, I feel this section is crowded and underdeveloped. 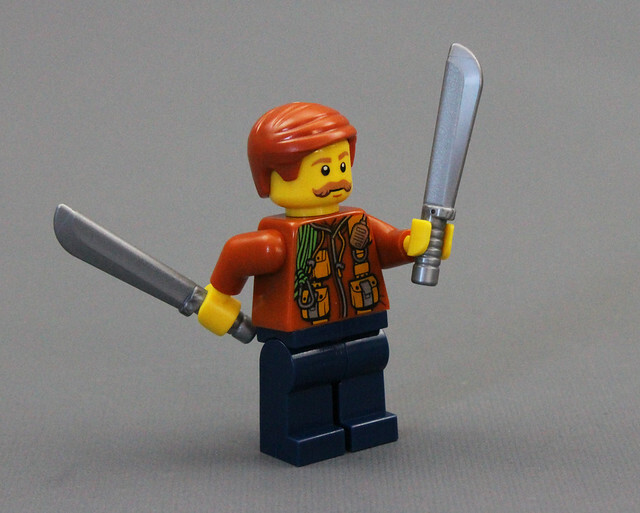 This is especially noticeable when compared to some of the older adventurers sets. 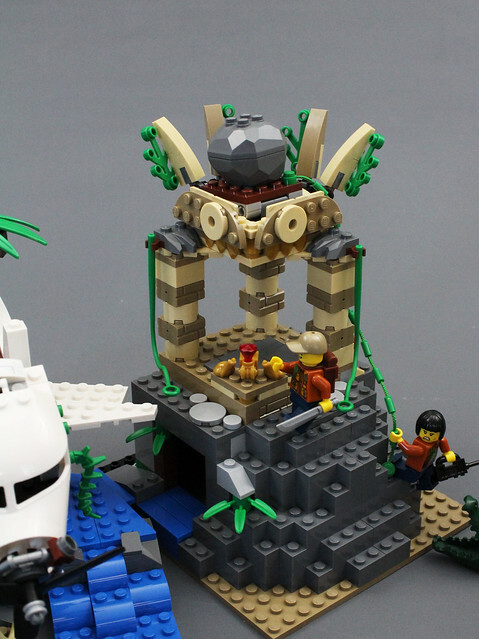 I feel like they could have focused on either the plane crash or the temple ruins and have had a much more complete and detailed landscape for the minifigures to explore. Combining both of these distinct elements seems to have weakened the overall look and feel for me. But Im not anywhere near the target audience so thats probably not a big deal. The complete set! I think that the $120 price tag is more than justified for such a number of unique vehicles and pieces. 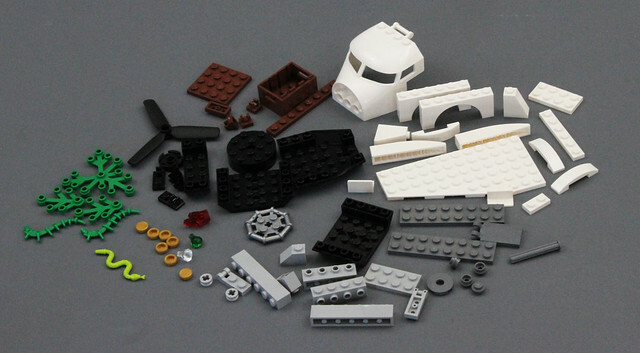 I think many of these parts will be exceedingly desirable for both children and adult collectors. 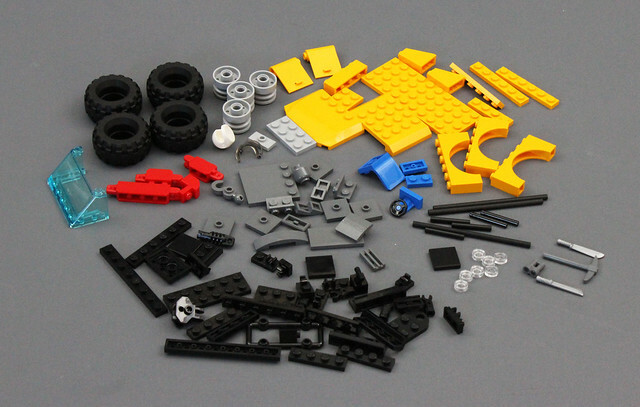 These types of sets and elements are very refreshing to see. 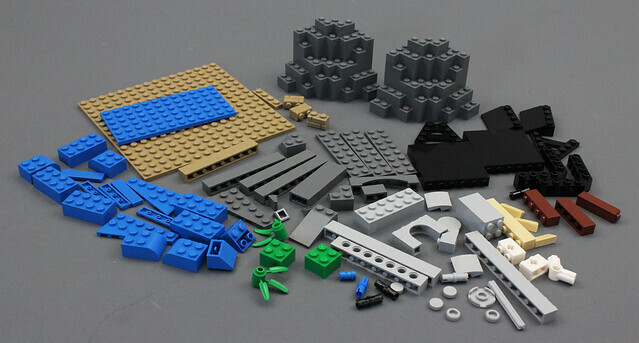 I hope the LEGO set designers continue the trend of branching out into the unexplored. 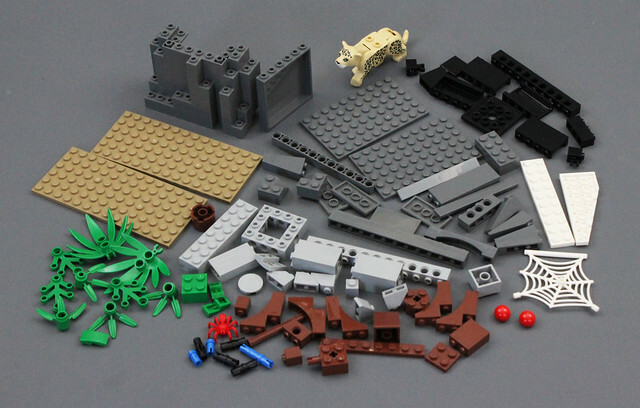 I did notice one huge mistake in the finished set. 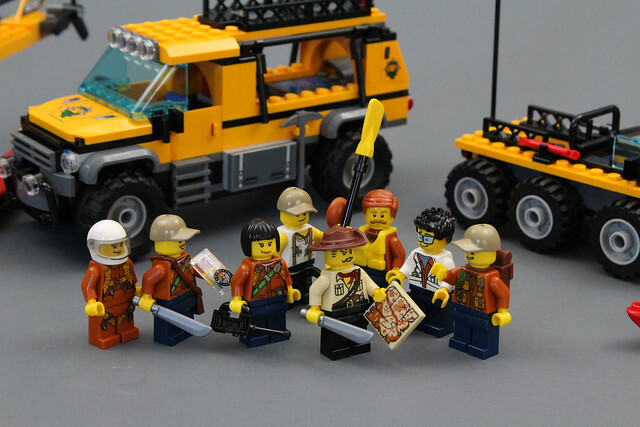 This crew of rookie explorers desperately need their leader! But dont worry, the most famous veteran adventurer of all time is here to help!